Our Team : Advisors M.E. Mohammad Siddiqui is the Managing Director for Advisors M.E. Mohammed Siddiqui is Managing Director of Advisors M.E. and began his corporate career with Deloitte and Touche. He has over 20 years’ experience of helping businesses of all sizes across the MENA region. In his previous position, Mohammed was the Head of Group Treasury and Planning for a leading healthcare and consumer group in Saudi Arabia. He was responsible for managing the group’s treasury portfolio and banking relationships, as well as for the shareholders’ wealth management. 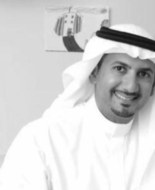 Mohammed was a member of the board of directors, audit committee and the investment committee. Mohammed trained with a Big 4 firm working in audit and tax initially and then in consulting and has covered various sectors including healthcare, FMCG, contracting, inspection services, airlines and various other manufacturing and service sectors. 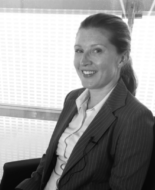 Zoe is an Chartered Accountant who has worked and trained in Dubai, the UK and Australia. She trained as a Management Accountant before working for some of Australia and Dubai’s biggest companies such as Al Futtaim and AMP where she managed the annual tax returns and board-level financial reporting. She now works at Advisors M.E. as a VAT specialist and accountant. Using her experience of working with VAT in other countries to advise companies here on how to implement the new VAT rules. 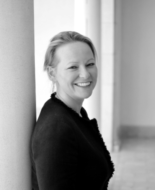 Rosie Seldon is a marketing expert who supports Advisors M.E. with their marketing activities. She has worked extensively with financial services companies in the UK and 3 years ago moved to the Middle East. She started her career in London, launching the first ever online fund supermarket and share dealing service in the UK market. Moving traditional customers to the digital environment. She then went on to Head up the Customer Experience team at HSBC, and later work on large Digital Transformation projects at the UK’s biggest bank, Lloyds Bank. She now works with Advisors M.E. to assist with their marketing strategy, events, website, social media and strategic brand development. She manages a team of marketing specialists who support all the projects and initiatives. 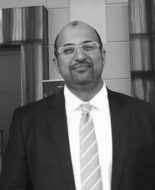 Khaled had the opportunity to work at leading international organizations including Merrill Lynch (Private Client Group), Procter & Gamble (Brand Management) and SAMBA – Islamic Banking Group (a former joint venture between Saudi American Bank and Citibank) and banking assignments with Arab National Bank as the Head of Islamic Banking. Khaled specialises in Islamic banking, business strategy development, credit risk management, profit planning and budgeting, product development, financial analysis, corporate and consumer communication and project management. 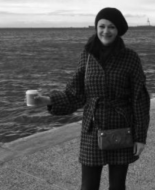 Silviya Ivanova has over 12 years experience in Europe, having worked at KPMG in UK, Cyprus and Bulgaria as a VAT specialist. Silviya has advised a vast number of businesses in different industries, prepared and delivered VAT seminars and managed many VAT reviews. As well as working as a consultant, Silviya has worked as an in-house tax specialist for a large group of companies covering both Cyprus and Luxembourg, looking after VAT compliance and tax related issues. She first started working with VAT in the UK in 2005 where she completed her Association of Taxation Technicians (ATT) examinations. Silviya holds an Economics degree from the London School of Economics and Political Science and now enjoys advising companies across the world on VAT issues, and preparing and delivering VAT seminars.